The breath-taking new thriller from the author of Hades, winner of the Ned Kelly award for Best Debut Crime Novel. “I fool myself that Eden has a heart – that she would at least have trouble killing me…” Most police duos run on trust, loyalty, and the desire to see killers in court. But Detective Frank Bennett’s partner, the enigmatic Eden Archer, has nothing to offer him but darkness and danger. She doesn’t mind catching killers – but it’s not the courthouse where her justice is served. But it’s going to take a trip into Hades’s past to discover the answers – and what Frank uncovers may well put everyone in danger . 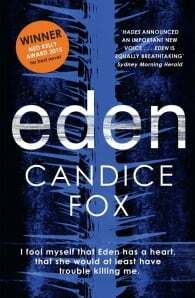 . .
Hades, Candice Fox’s first novel, won the Ned Kelly Award for best debut in 2014 from the Australian Crime Writers Association. 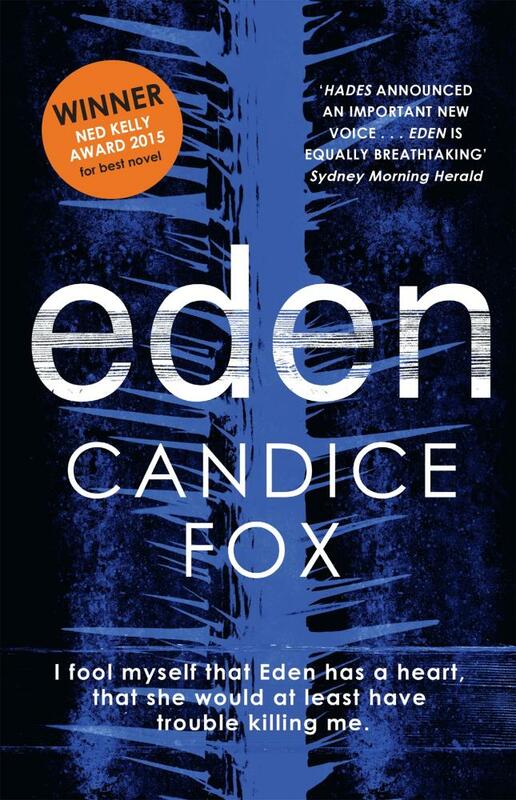 The sequel, Eden, won the Ned Kelly Award for best crime novel in 2015, making Candice only the second author to win these accolades back-to-back. Also, in the 2015 Davitt Awards, Hades was Highly Commended in the debut category. Candice is the middle child of a large, eccentric family from Sydney’s western suburbs composed of half-, adopted and pseudo siblings. The daughter of a parole officer and an enthusiastic foster-carer, Candice spent her childhood listening around corners to tales of violence, madness and evil as her father relayed his work stories to her mother and older brothers. Bankstown born and bred, she failed to conform to military life in a brief stint as an officer in the Royal Australian Navy at age eighteen. At twenty, she turned her hand to academia, and taught high school through two undergraduate and two postgraduate degrees. Candice lectures in writing at the University of Notre Dame, Sydney, while undertaking a PhD in literary censorship and terrorism.